Welcome new listeners! Are you ready for a serious look at 2017’s sales? We were down 6.8% from 2016 and we discuss the numbers, trends and percentages. 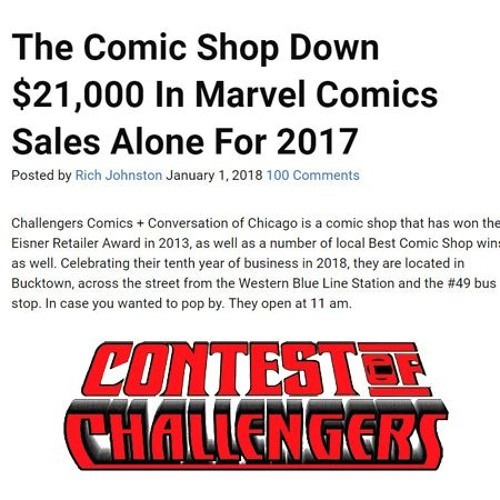 We’re down over $21,000.00 in single-issue Marvel Comics sales. This became an international news story and got a lot of people talking. Too many, you might say. 94 Subscribers did NOT come in for their comics in December. We bought product from 113 different vendors/manufacturers/creators/distributors in 2017. We’re planning a lot more events outside of signings in 2018.